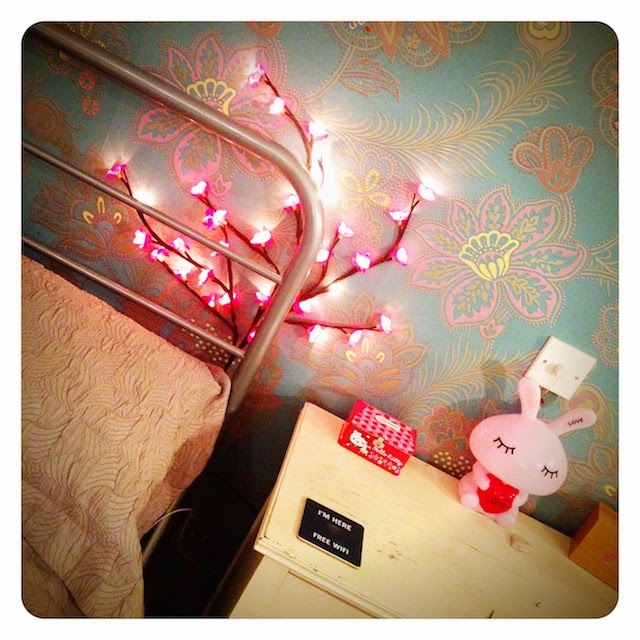 I'm joining in with Kara's Corners of my home series today with a look at a couple of my favourite spots in my bedroom. Our bedroom was one of the first rooms that we decorated when we bought this house eleven years ago but I'm still happy with the way it looks. It's a big room with doors opening onto a balcony and a beautiful deep, Victorian bath at the foot of our bed. Because of the beautiful countryside views (and the tv) it's the most used bath in our house! The wallpaper is Matthew Williamson for Habitat, the big bunny and Hello Kitty money boxes were bought on holiday in Bangkok and the vintage drawers came with the house. 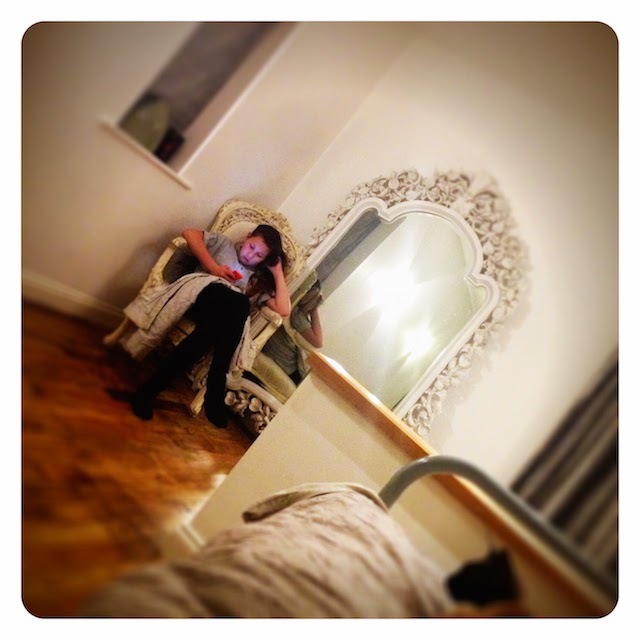 I LOVE this oversized, french style mirror that I found on ebay. It's huge (and a big pull for the teens in the house but my favourite item in this room has to be the pair of vintage French chairs (obscured by baby girl but you get the idea). 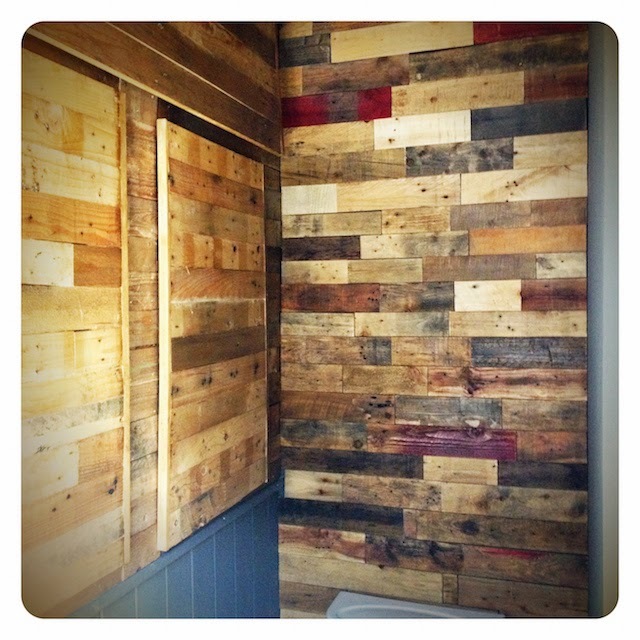 The wooden floor was created by +Yan To, made entirely out of pallets and it flows through into our ensuite with this fab storage system that he made. It's not easy to get a good picture in there because of the compact nature of the space but the storage keeps all our toiletries out of view and the room neat and tidy. If you have any lovely corners of your home that you would like to share I would love to see them.